Photo of: West of Ireland: West Cork: Googane Barra. 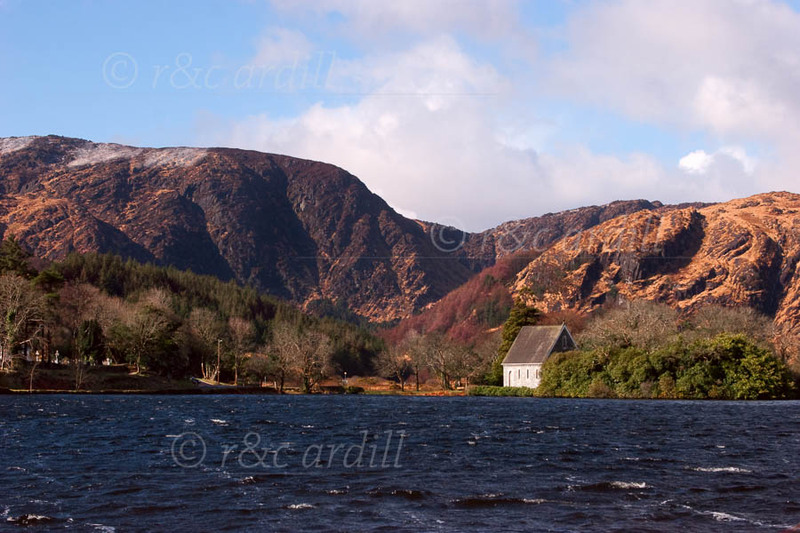 Googane Barra Chapel and Lake on a blustery March morning. The mountains at the back are the Sheehy mountains.